Easy to Update ¦Plus Free Hosting by Google! Sign Up for FREE Google Sites Tips! All New Templates - Free! Beautiful, effective Google Site Designs by our award-winning staff & all the latest Google apps, gadgets, bells and whistles with no ongoing fees! Drive traffic to your business with our proven online marketing tools and techniques - We can do it for you or show you how! When it comes to creating a website for your small business, you have many options. Some go with proprietary technology, and end up spending a small fortune. The site they end up with does nothing to engage, stimulate, and sell those few visitors who happen to find it. Even worse, they find themselves stuck paying out high monthly fees for the use of “proprietary technology” . Other business owners try to save money by using one of the many website templates or build-it-yourself solutions out there. They quickly discover it’s much like pushing a round peg through a square hole - most “one size fits all” templates aren’t effective and don’t give you the unique, professional image you’re looking for without tons of compromise. At Over the Top, we specialize in professional Google Site designs tailored to both your business needs and your pocketbook. But that’s only the very beginning. These sites are built on and hosted by the technology backed by a multi-billion dollar Internet company - Google. We’ve field-tested and used their very latest Google Sites tools, applications and gadgets - and we’re going to help your business leverage them for FREE. While most Google Sites development companies profit from ongoing hosting fees, we’ve partnered with Google Apps to help you stretch every dollar and redirect those savings to more valuable services like driving customers to your business. Our expertise in Google-powered features can elevate your new business Google Site to an unparalleled level of functionality and performance. To duplicate this offer, you’d have to pay multiple providers $1000’s in setup and on-going fees. These Aren’t Just Sites - They’re Complete Google Sites. A Website alone is no longer enough for you to compete successfully on the Internet. As a result, we offer far more than website - we offer a complete suite of services to help you launch, grow and improve your online presence. Our packages include the design and development of your new Google Site (with all the Google bells and whistles included), tools to help you keep it updated and fresh, sales conversion techniques, optional advertising programs to bring you qualified customers, search engine marketing services, and much more. Get all the details here. We begin with an online interview where you provide us with some information about your business and your goals. Then we follow up with a phone consultation. First we listen. Then we share how we’ve helped (literally) thousands of businesses like yours accomplish their online goals. Whether it’s driving new business, building your brand or providing online support to your existing customers - we’ve got the right solution for you! Each site includes features we know you’ll want to have - and many you didn’t even realize existed! For example, our packages include free hosting, domain name registration, email hosting, traffic analytics, a private Intranet, online collaboration applications (saving you time and money! ), video chat, submission to all the major search engines, and much more. We even include a Content Management System that lets you easily make changes and updates to your site in real-time, without waiting for a web designer! Update your site securely from anywhere, from any computer without paying anyone an extra cent. Our marketing options help you drive traffic to your site, track the numbers, and analyze what’s working for you and what is not. 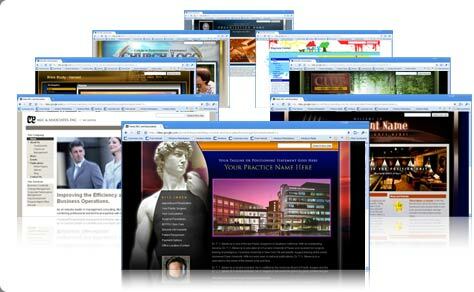 In other words, these are Business Marketing websites (built on Google technology), and NOT ordinary static websites. By leveraging Google’s tools and services, we give you a site that gives you an enormous edge on your competition. All this at extraordinarily affordable prices, we might add. You receive everything you need for lasting online success, so you can take your online fate into your own hands without being held hostage by expensive, greedy hosting companies (yep, as stated before, we build your site on Google’s backbone to be hosted for free!). At Over the Top, we believe you prefer realistic choices, user flexibility, trackable results, ROI and the best technology the web has to offer. That’s exactly what you can expect from us. Copyright 2008 - 2016 Over the Top. All rights reserved.